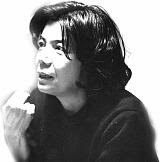 If you are on Facebook, please visit or join the Miura Ayako Book Club group. You will find the latest Miura-related news there, and are encouraged to share your thoughts and ideas about Miura's books, the films that have been made of them, and anything else Miura-related. Back in my room I thought hard. Although my spine was being eaten away by tuberculosis and I stumbled as I walked, we had been blind to its presence simply because it had not appeared on the X-ray. If this ignorance had continued, might not all my bones have been affected? I certainly would have died. And then I thought, "The same could be true of my soul." Maybe I did not realize my heart was being eaten away or how infected I was, simply because I was unaware of my sin. I found this thought very frightening. Life is as full of material to learn from as a gravel road is full of stones. Not having gone to school is itself something to learn from. So is poverty, a weak constitution, failure, a broken heart, ignorance, prosperity, and adversity. If you have the will to learn from it, anything can be teaching material. What passages from a Miura book have left a lasting impression on you? Please share them with us in the comments box below.